MotoGP points leader Andrea Dovizioso says the recent Austin race confirmed Ducati's negative aspects remain "too big". After winning the Qatar season opener, Dovizioso has had two low-key rounds, finishing sixth in Argentina and then fifth at the Circuit of the Americas. 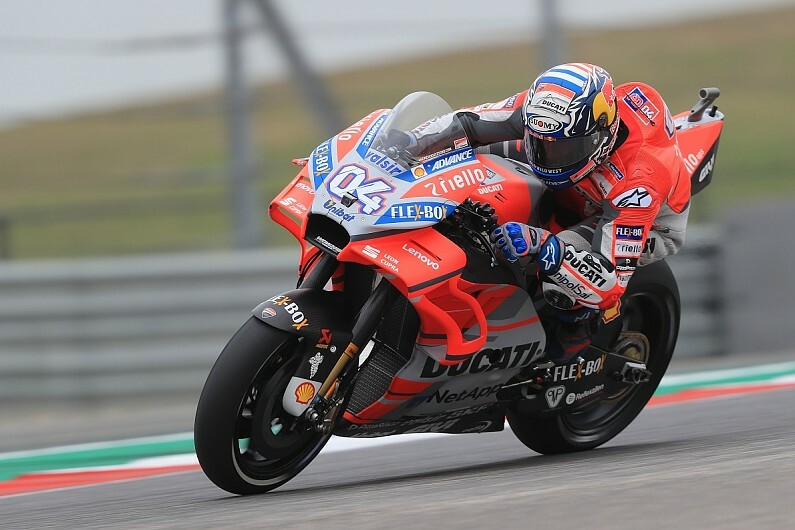 Dovizioso complained about the Austin track not suiting his bike during the weekend, with the bike struggling mid-corner and wheelies also compromising acceleration out of the first-gear corners. "We confirm still our negative point is too big," he said of the Austin race. "In the end I took the maximum, we already knew before the race we couldn't be fast in this track. "We know where we improved during the winter and we knew [for Austin] it was a problem. "It is logical that during the winter you work and you expect to improve, but in the end not that much, because it's only when you arrive at certain tracks you understand in detail where you are. "We are still not as competitive as our opponents in the middle of the corner. And I expected this. "The Honda looks superior. In the winter they managed to improve further and that's why all the Honda riders got stronger, while we could not do enough on the tracks where we have trouble. "I was hoping for more in Argentina and America." Dovizioso holds a one-point advantage over Marquez in the standings, and says he is satisfied to be in a stronger position after the first three races than he was this time a year ago. "The championship is very close, so not important, but at the end it means we manage the three races in a good way," he said. "Not in a perfect way, but in a good way." Dovizioso added he will have to wait until June's Mugello race to see if he can continue his consistent race-winning form on Ducati's stronger tracks. "We have to see if Mugello will be like last year or not," he said. "I am not so relaxed about that. "It looks like Suzuki is stronger and a lot of riders are stronger than last year."